This photograph shows inmates Frank Algood, prisoner number 9521, and Leo Rubick, prisoner number 8637. Frank Algood was received at the Kansas State Penitentiary on September 20, 1900 from Sedgwick County, Kansas. 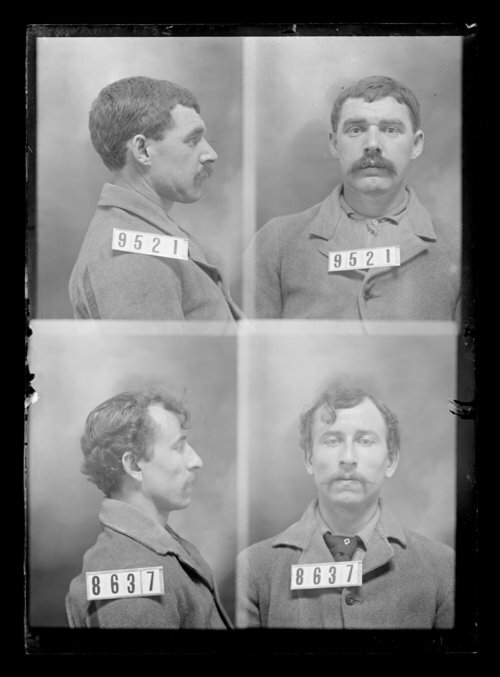 Inmate Leo Rubick was received at the penitentiary on September 21, 1898 from Franklin County, Kansas. Both men were arrested for larceny.